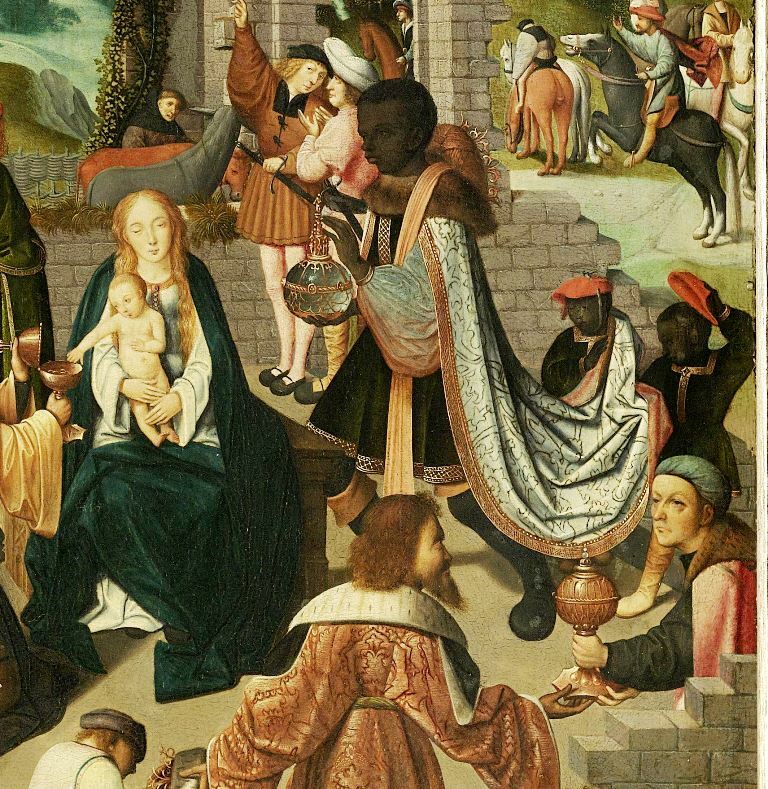 On this early sixteenth-century triptych we see a sumptuously clad Black King hastening towards the Virgin Mary and Child to present his gift. 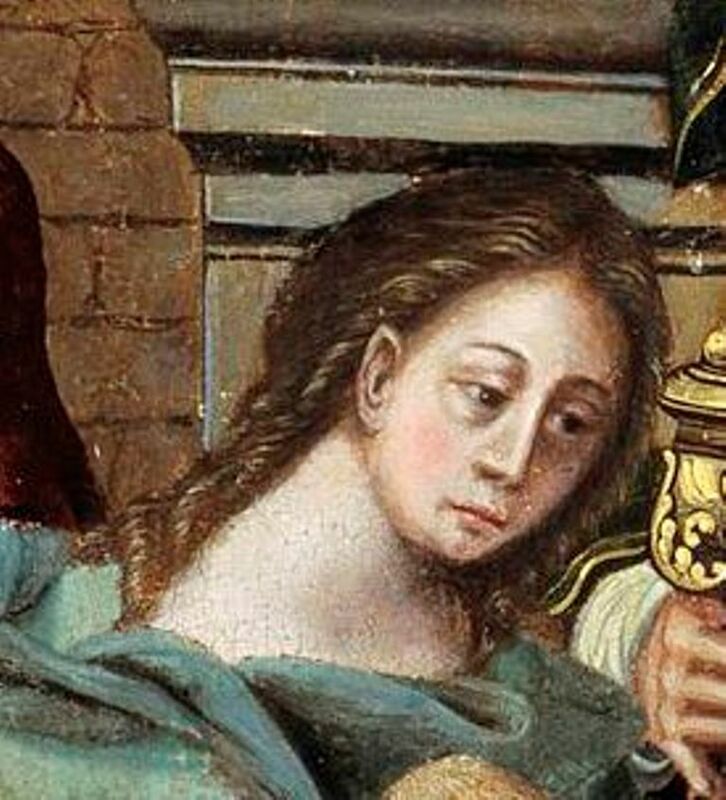 He is already raising the lid of the container in order to let her see or smell the contents, which may be frankincense. 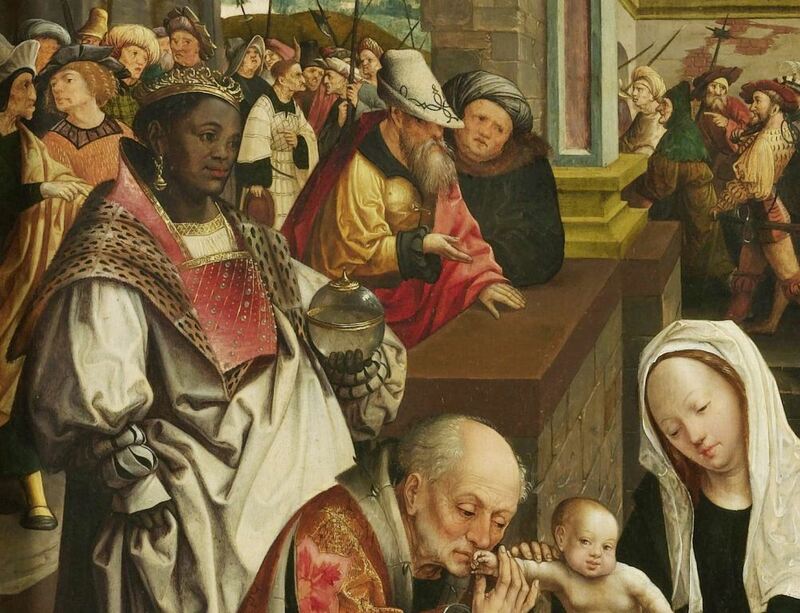 The artist has paid considerably less attention to Mary who is rendered quite schematically and looks rather sour. The Ethiopian King is dressed in elegant royal red. On his head he wears amagnificent red turban with a golden crown. Everything about him exudes wealth and power. His face looks remarkably natural and seems to have been painted ‘from life’. 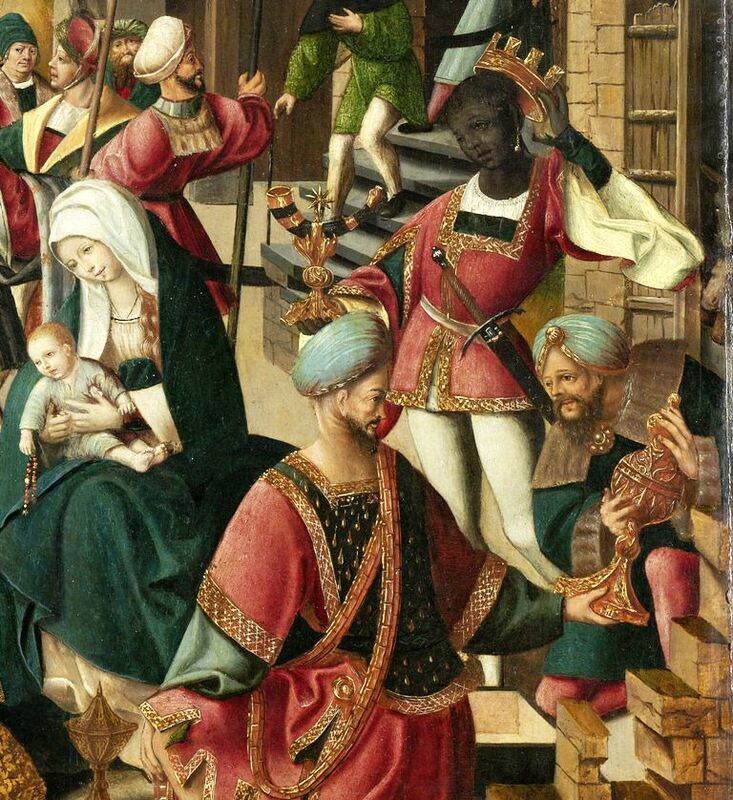 The clothing worn by Black Kings varies according to period and artist. They may be dressed in oriental (Moorish) fashion, European style, Roman costume or in extravagant, fanciful clothing. 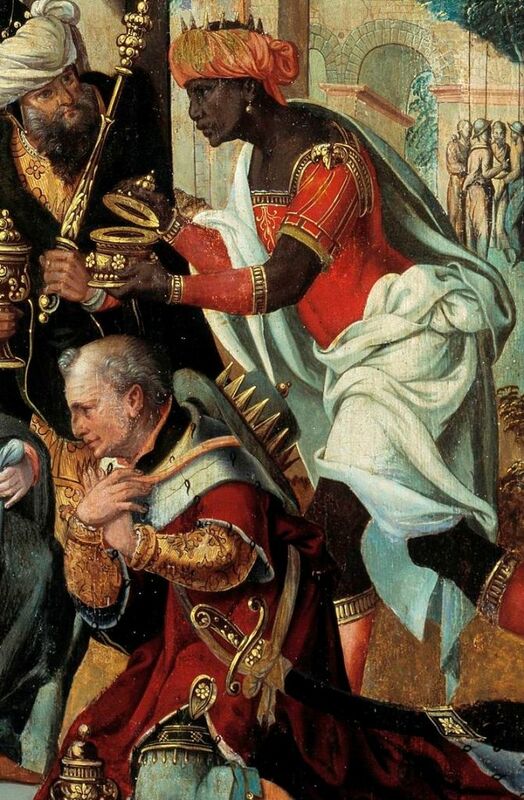 This Black King also wears an earring, a common attribute of black men in western art which may take the form of a simple pearl or gold ring, as here, or comprise a more intricate design. 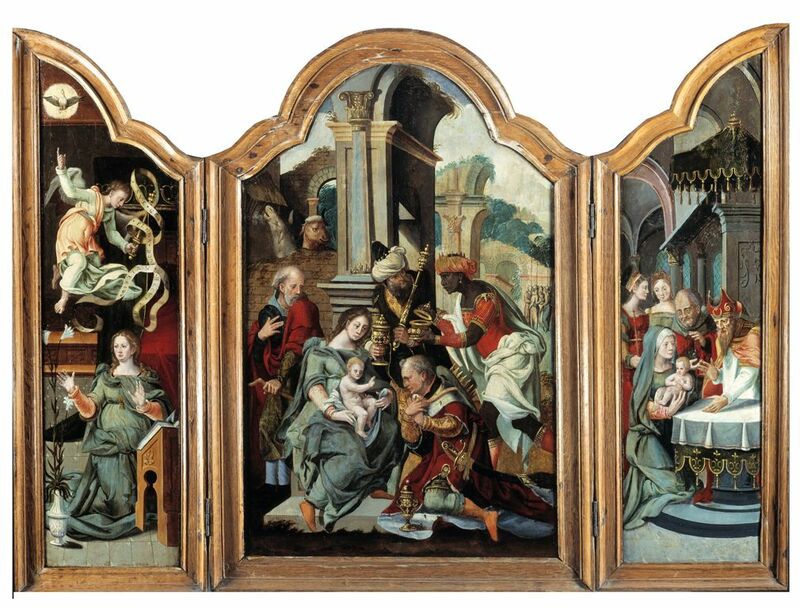 The work, from the Catharijne Convent in Utrecht, is probably a product of mass production. A genuine ‘Magi’ industry developed in and around Antwerp in the early sixteenth century. 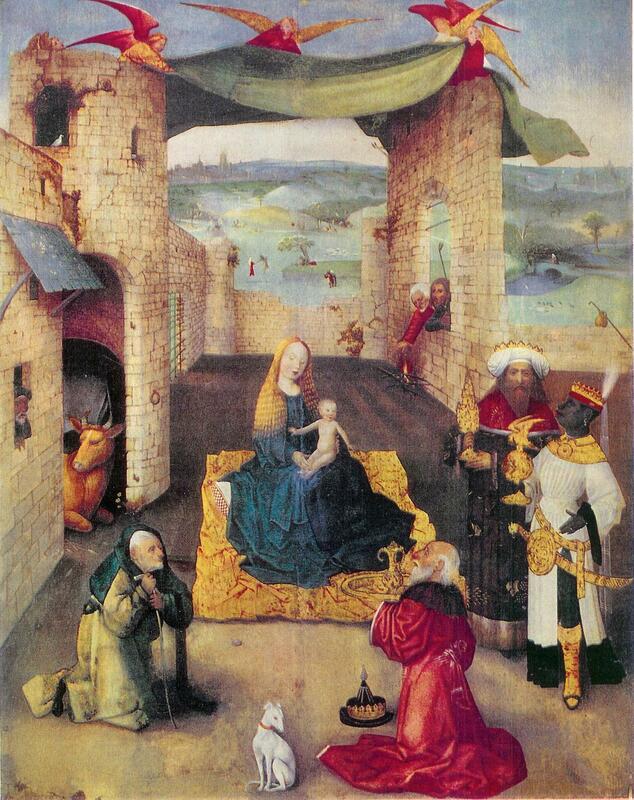 Scores of studios produced Adorations which, like this painting, paid a great deal of attention to the richly arrayed Kings. They had become the symbols of thriving trade.